This article was originally posted on Film Inquiry, interview conducted and article written by Film Inquiry staff writer Chris Watts. Women In Media is collaborating with Femme Frontera – join us for pre-screening networking supper, after which we will watch the showcase together. Tickets are still available, get them now! Women In Media VIP Members can log in to reveal their discount code. Angie Reza Tures is an independent filmmaker in the best possible sense. Passionate, intelligent and with a keen eye for films that challenge perceptions of culture and society, Tures is the director of the Femme Frontera Filmmaker Showcase, a collective of women in film, that began as a screening of local work at the Alamo Drafthouse and, now, is about to celebrate its 2nd year, with a showcase of more inspiring work at the Echo Park Film Center in Los Angeles. 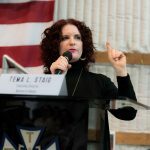 Growing up with a love for film and music, Tures has worked her way through several productions, winning multiple awards for her work as a writer and director and now teaches filmmaking to youths in El Paso, Texas, where she is based. The title for her 2nd showcase is Crossing Borders and Tures has certainly never shied away from this credo. I spoke to her a few days before the screenings took place and, on the strength of the work she has curated, the audience is in for a challenging, unique cinematic experience. Chris Watt for Film Inquiry: Firstly, congratulations on this year’s showcase. The films are a wonderful mixture of genres and technique. I would like to start by asking you about your background. Where did you grow up? Angie Reza Tures: Thank you! I grew up in El Paso, Texas which shares a border with Juarez, Chihuahua, Mexico. I have family on both sides of the border so I spent a lot of my childhood going back and forth. I’m grateful for that. I’m a mix of these two beautiful cultures. Were you always creatively focused? Are there any artists in your family? Angie Reza Tures: I’m from a family of musicians and learned to play guitar at around age 12. As a teen, I wanted to be a record producer. However, I took a video production class in college and instantly fell in love with the process of filmmaking. It became almost addictive to want to make films and endlessly rewarding. Your background is in film production. At what age did you begin to see film and film making as a way of expression? Angie Reza Tures: At the University of San Francisco, I was quite fortunate to have professors who challenged us to see filmmaking as a way to inspire positive change. We were taught that in filmmaking, most especially in documentary filmmaking, we had a tremendous responsibility to be truthful and accurate about the stories we were telling. Were there any particular films or film makers that you admired? Angie Reza Tures: Ava Duvernay inspires me daily. She’s incredible at her craft, consistently advocates for women filmmakers, and celebrates and accurately represents people of color. I’m also consistently inspired by other artists in general who add something different and exciting with their craft. Some of them are playwright Lin-Manuel Miranda, author Benjamin Alire Saenz, composer Ólafur Arnalds, and ice skater Johnny Wier! When did you first conceive of the idea of Femme Frontera? Angie Reza Tures: In the summer of 2016, I had just completed my narrative short called Memory Box and wanted to premier it for friends and family. I called a few local filmmaker friends and asked if they’d be interested in screening their films alongside mine. Thankfully, they all agreed and we had a successful first screening which we called the Femme Frontera Filmmaker Showcase, a celebration of women filmmakers from the U.S.-Mexico border region of El Paso, TX, Las Cruces, NM and Juarez, Chihuahua, Mexico. From there we decided to form a collective amongst the six of us with the goal of demystifying the border and creating a space for female voices in the region. Can you expand at all on the festival’s agenda? 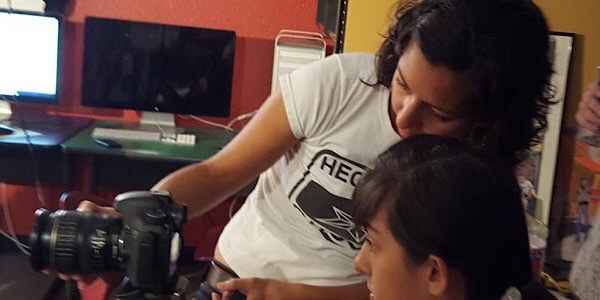 Angie Reza Tures: What began as a celebration of women filmmakers on the U.S.-Mexico border has now become a platform upon which women filmmakers from regions around the globe can represent their communities in the way they feel needs to be represented. This includes challenging perspectives about women, gender roles, people of color, and the LGBT community. Given your location, people’s perceptions of such border lands tend to be dramatically, or melodramatically, bleak. Was the festival a direct reaction to such perceptions? Angie Reza Tures: The first Showcase was a direct reaction to those perceptions as each of our films represented the Latinx experience of life on the border, as Mexican-Americans, and as immigrants. Our program was curated by women who were all from the U.S.-Mexico border region, who had shot films in this location, and who wrote films based on their personal experiences. Even though our Showcase premiered during a lot of false rhetoric perpetuated by Donald Trump in 2016, the lack of honest, accurate Latinx representation in film and the media predates Trump’s tweets. This lack of representation and misrepresentation has been an issue for a very long time. For our 2017 Showcase, we selected a few films from border regions around the world. Expanding on that, do you feel such work is important to a better understanding of cultural identity in such areas of the country? Angie Reza Tures: I do. Film is a powerful medium. It allows us to share, learn about, and relate to others’ personal experiences. 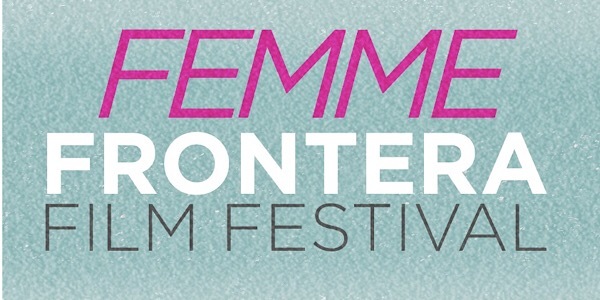 Femme Frontera, as the name suggests, is female-driven filmmaking. Given the amount of conversation being given to the issues of equality in the industry recently, it appears they are few and far between. Have you found the process of finding work by female film makers easy, or difficult? Angie Reza Tures: For the 2nd Annual Femme Frontera Filmmaker Showcase, we put a call out for submissions in May 2017 and received over 185 submissions from female filmmakers around the world. I felt so honored to see and be a part of such a global community of female filmmakers. We’re out there. We’re just not being given equal opportunity to be seen or heard. Do you think that the creative landscape is getting better for female film makers? Angie Reza Tures: I think that we’re finally being heard due to the brave women who have stepped up and spoken out against inequality, abuse, and sexual harassment in the industry. However, we’re no where near where we should be in regards to equal representation and opportunity in the work place which includes several industries, not just in film. When you first envisioned the festival, what were the first reactions? Angie Reza Tures: The first reactions were incredibly positive. I think our first supporters saw Femme Frontera as a movement even before we did. We thought we would just be hosting a one time, local event. How do you select the films that you showcase? Angie Reza Tures: Women can submit their films through Withoutabox.com. We begin accepting submissions in the springtime. Each film is viewed at least twice by our selection committee and then our six founding members slowly begin choosing the final selections. Can you tell me a little bit about each of the filmmakers you are showcasing this year? Angie Reza Tures: Two of our filmmakers are based out of El Paso, Texas but now live in Los Angeles, California. Our first is Windows director Maru Buendia-Senties, an Award winning Writer/Director with an MFA in Film Production from UT-Austin and was an honoree of the Princess Grace Award and the Latino Lens Narrative Incubator by NALIP. Thanks to her VFX background, she has worked with Robert Rodriguez at Troublemaker Studios; Mirada Studios, company created by Guillermo del Toro; Pixomondo and CoSA VFX. Our second El Paso filmmaker is Sarah Hope, a professional drummer, founder of the Drum Retreat, and first-time filmmaker. Her short, That Day Will Come, follows four drummers as they share their personal experiences while pursuing their life passion. Razelle Benally, Oglala Lakota/Dine’ director and writer, currently resides in Santa Fe, New Mexico. She is an alumna of the 2012 Sundance Film Institute Native Filmmakers Lab and awardee of the 2015 Sundance Film Institute Native Short film Production Grant. Her film, Raven, is a visual narrative about the emotional depths a woman is challenged with after losing an unborn child. She is currently an Artist in Business Leadership Fellow with the First People’s Fund for Filmmaking. We Did Not Fall from the Sky director, Tabatha Breese, is in the film department at Pulse Films where she works across their slate of feature documentaries. Previously she worked as a Researcher for the Richard Curtis in London. She has worked on a range of films in different roles, including in the editorial department for JASON BOURNE (2017) and as an Assistant Camera on THE LAST GOODBYE (TriBeca 2017), a VR experience from the UN about Holocaust survivors. The first short she produced, THE DEAD SEA, about the migrant crisis, was awarded the TriForce Audience Award 2017, with a World Premiere at London Short Film Festival 2017. Co-director, Georgia Oakley, is an award winning writer / director based in London. Georgia was recently selected as one of six emerging filmmakers on the BFI Flare & BAFTA mentorship scheme, as well as BFI NET.Work x BAFTA Crew 2017. She’s currently developing the screenplay for her first feature with the Screen Arts Institute at the BFI and directing a web series that explores sexual fluidity in the digital age. Child, Bride, Mother: Nigeria directors are Stephanie Sinclair and Nichole Sobecki. Stephanie is known for gaining unique access to the most sensitive gender and human rights issues around the world. 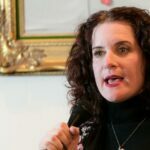 She is also the Founding Executive Director of Too Young to Wed, a nonprofit providing visual evidence of the human rights challenges faced by women and girls around the world. A recipient of the Pulitzer Prize (2000), Sinclair’s photographs are regularly published worldwide in esteemed outlets such as National Geographic and The New York Times Magazine. Nichole is a filmmaker and photographer based in Nairobi, Kenya, and represented internationally by Panos Pictures. She began her career in Turkey, Lebanon, and Syria, focusing on regional issues related to identity, conflict, and human rights, before leading Agence France-Presse’s East Africa video bureau from 2012-2015. Sobecki has completed assignments throughout Africa, the Middle East and Asia for Foreign Policy, The Wall Street Journal, The Washington Post, The New York Times Magazine and National Geographic, and her work has been exhibited internationally. Filip director Nathalie Álvarez Mesén is a Swedish director with roots in Latin America, where she spend a part of her childhood and teen years. She acquired a BFA degree in physical acting at the Stockholm Academy of Dramatic Arts and a one-year degree in screenwriting at Alma Manusförfattare. She is currently finishing her MFA degree in screenwriting at Columbia University in New York while working on the development of her feature film Clara Sola together with production companies HOB AB, Ciudad Lunar and Blond Indian. There were three directors for Do Not Come to Europe. Hanna Pousette is a globetrotting sailor who has a boundless love for dogs and the ocean. What she sees as one of the most impactful characteristics of the documentary genre is how it puts the audience face to face with a completely different yet human experience. In the fall Hanna will begin her studies to become a nurse. Pontus Joneström has always been interested in expressions of all different sorts. He is a filmmaker, burger chef, minimalist and amateur mixologist with unachieved travel ambitions. His interest in documentary filmmaking stems from a love for the medium combined with a growing lack of belief in the power of fictional storytelling. Minna Lundberg is one of the filmmakers of Do not come to Europe. Besides her interest in making documentary film, Minna is studying to be a psychologist and is also a singer and music writer. The interest in making documentaries was born from the will of raising big issues and telling important stories in combination with an esthetic way of expression. Many of the films deal with cultural identity. Is it important that the films reflect this? Angie Reza Tures: Our first Showcase focused on Latinx stories and our second includes films from around the world. Both showcases focus on dismantling gender and cultural stereotypes. In the coming years, our themes may change but our mission remains the same. We want to give women and marginalized communities an opportunity to share their stories, perspectives, and personal experiences with our audiences in El Paso and throughout the U.S. as we continue our national tours with each Showcase. What cultural impact do you think art can have on a community? Angie Reza Tures: At the local level, I think it’s important for a community to see themselves represented either because the artist is local to the area or the art says something about that particular region. To share that experience with friends, family, and your own community has a lot of impact. There’s camaraderie, reflection, and a strong sense of pride reflected back to the audience. It’s powerful. Do you think art can have any political impact? Do you think it can change things for the better? Angie Reza Tures: Speaking from personal experience, Q&A sessions after Femme Frontera screenings have often sparked some incredible dialogue between audience members and the filmmakers. Our immigrant stories seem to have the most impact with audiences who tell us that they were surprised by the complexity of the immigrant experience, most especially with those seeking asylum and people who immigrated as children and have been living undocumented for most of their lives. Our audience members are a wonderfully diverse group of people from both ends of the political spectrum and places in between. To that end, would you consider Femme Frontera a political or creative showcase? Or both? Angie Reza Tures: We are a creative showcase with a humanitarian goal which is to amplify the voices of women and communities who have been silenced and whose realities have been misrepresented. Given how pressing the issue is, particularly in the U.S. under Trump’s presidency, of border control and immigration, have you found the work you showcase is gaining more relevance? Angie Reza Tures: Yes and no. I do in that Trump’s wall, Muslim ban, and other anti-immigrant plans and policies are so extreme and unnecessary that these issues are receiving a brighter spotlight than in recent years. Yet, these issues have been problematic for a very long time. When I was growing up in the 80s, the only thing separating our border was a river. It then became a chainlink fence which has since turned into an enormous iron fence complete with drone surveillance, sensors, bright lights, and twenty four hour look outs from border patrol on the ground and in the air. Now, Trump is talking about a wall and calling immigrants from Mexico rapists and criminals. He’s sensationalized our border and so we, the anti-thesis of this rhetoric, are also receiving a brighter spotlight than I think we would have received otherwise if Trump hadn’t been elected. The stories in these films will always be relevant whether or not the issues are “trending” at the moment. In the UK I have noticed that many film makers are taking to using the medium to explore the issues of border control and particularly the refugee crisis. Do you feel that artists have an obligation to explore contemporary issues? Angie Reza Tures: I think that art’s purpose is limitless. It’s beautiful to see filmmakers exploring these issues but I also find it equally as beautiful to have art that provides escapism, can teach us something about the past, or make us hopeful about our future. There seems to be a huge potential, cinematically, for stories that react to the state of each nation. Your films this year are international, not restricted to the U.S. Was this always the intention? Angie Reza Tures: It was intentional for 2017 and will continue to be, most especially as we expand and add more to our programming. It’s been so inspiring and empowering to include films made by women from around the world. With that in mind, do you have plans to expand on the screenings at the Alamo in the future? For example, slots in other film festivals, or a travelling showcase? Angie Reza Tures: We began taking our 2016 Showcase on tour where it screened twice in Los Angeles, California, Georgetown, Texas and Columbia, South Carolina. As a result, we now premier our annual Showcase each fall season and then embark on a tour beginning in January of the following year. Our 2018 tour will kick off in Los Angeles, California on Jan. 25th, 2018 and continue throughout the United States through the summer of 2018. We will screen at film festivals, universities, and independent theater houses. We plan to begin touring internationally in 2019. 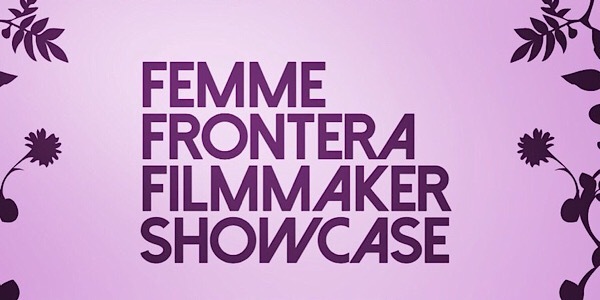 The 2nd Annual Femme Frontera Filmmaker Showcase takes place on January 25th at the Echo Park Film Center, Los Angeles. For more information about Femme Frontera, visit their website. You can follow Angie Reza Tures via her website.